The streamlining of international payment systems may have created new opportunities for criminal fraudsters, but one financial-security specialist believes the sector is finding new ways to fight back by using social-media analytics to ferret out fraudulent activity that might otherwise go unnoticed. 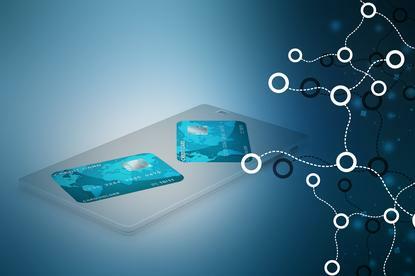 That activity had become more likely and more easily executed with the advent of convenience-oriented mobile commerce services and payment-speeding changes such as the emerging New Payments Platform (NPP), which focus on expedience and open up new avenues for exploitation by criminals stealing third parties' personal information. “These processes – where you're speeding up transaction clearing and settlement from up to 3 days, down to almost instantaneous – are great for consumers but thye're also great for the bad guys who are wanting to take advantage of it,” BAE Systems Intelligence's head of cyber and financial crime solutions for Australia Michelle Weatherhead told CSO Australia. “There is a risk on multiple fronts from professional fraudsters, through to malware and account hijacking, who say 'let's use that new instrument to transfer money out of accounts',” she added, with financial 'mules' used to quickly launder the stolen funds. “Payments can be conducted anytime, anywhere, and very quickly,” Weatherhead said. “This means that your statistical models are even more important because you can't be affording to be stopping good customers' payments if it's going to be upsetting their satisfaction. Although widely available online open-source intelligence has been flagged as providing a cornucopia of personal information for fraudsters, Weatherhead argued that widely available information can also be incorporated into fraud-detection systems to provide invaluable corroboration for suspected fraudulent activity. Social network analytics is “a great piece of technology that we have to help in that space,” she explained, citing as an example the process of evaluating a mortgage or loan application that is suspected of having been lodged by an identity thief. New technologies “model not only the customer, but how that customer's network or peers interact with one another,” Weatherhead said. Fraud-prevention researchers are embracing a range of tools to help pinpoint fraudulent activities in a rising tide of online transactions in an environment where money can circle the globe nearly instantly. FBI figures released last year suggested that Australians suffered $11m in losses out of a global total of more than $800m to online fraud in 2014 alone. Late last year, researchers suggested payment terminals can be hijacked to facilitate mass consumer fraud. Within the speed of the NPP context, banking systems will need to be able to evaluate a transaction's fradulent nature within a few seconds – and many believe machine-learning algorithms will help make this possible. Cloudera and Argyle Data recently joined forces for a real-time fraud analytics platform designed for telecommunications companies, while IBM – which in recent years bought antifraud specialist firms Trusteer and Iris Analytics – is exploring the potential of iris recognition to improve antifraud capabilities through its Iris machine-learning platform. Such tools combine intelligent and context-aware data analysis with machine-learning architectures that are, Weatherhead points out, predicated on implementing procedures for the mass collection and analysis of all kinds of data.